Clean floor grout makes your home floor look lively and sparkling. Grout lines are such area of your floor where the dirt and dust lives and does not go away so easily. They are the lines between the tiles so even if you clean up your tiles, cleaning your grout can be very challenging and time-consuming. 1. Cleaning your grout by yourselves takes up so much of your valuable time as it takes hours to clean your grout by kneeling down on your floors. 2. This kneeling down also brings pains in your hands and knees, which affects your overall health. 3. Also, there are so many commercial grout cleaners available in the market and this creates doubts on which one will be the best for your floor grout. 4. Sometimes, commercial grout cleaners use acid as their cleaning chemical and that can be really risky to use them as they are not good for tiles as well as your body. This solution does not harm your body and is completely safe for your floor grout. By using this steam cleaning method, you need to make sure you don’t use it on your old or broken floors as it can damage your floors more. All of these above methods are really tiring and time consuming. It takes a hell lot of time to sit down on your knees and scrubbing your floors with your hands for hours. Rather, you can concentrate on more constructive and quality work like spending time with your family or maybe other important tasks. While you do your important tasks, the professional grout cleaners can clean your grout in very less time using their specialised chemicals, equipments and tools. They can easily find even the tiniest stain or dirt that resides in your grout lines. 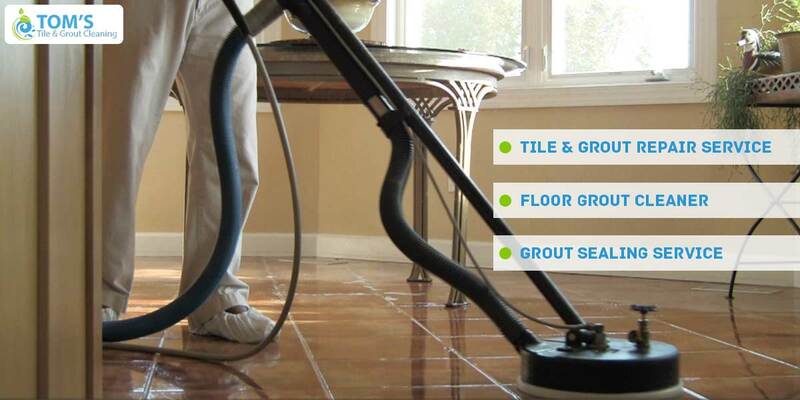 They are highly trained in grout cleaning and making your home floors sparkling just as new. Do you also feel grout cleaning to be very important yet tiring? Contact the commercial grout cleaning leaders that can make your home look clean and refreshing with their grout cleaning services.